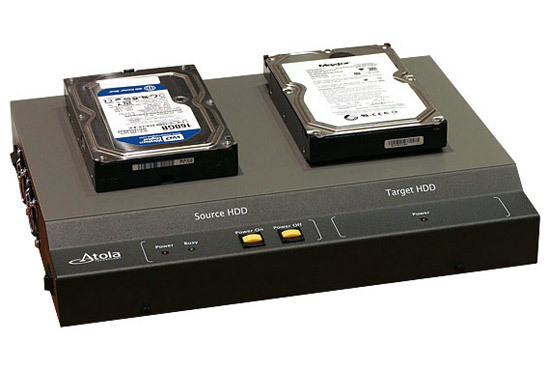 The Atola Insight system is offered with 2 options for the DiskSense, which is the physical unit that mounts the hard drive and connects to the operator's computer running Atola Insight. 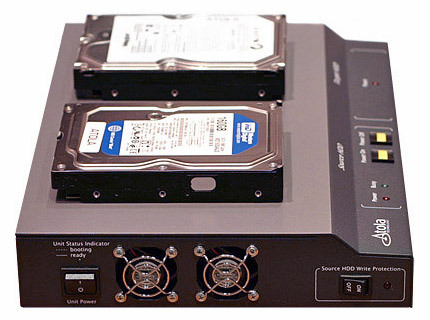 The DiskSense USB unit has a lower investment price and transfers data at speeds up to 40 MB/sec (UDMA speed) using a Source HDD port (both SATA and IDE interfaces). The DiskSense Ethernet unit offers a faster 180 MB/sec interface with 2 ports to allow for high speed direct disk-to-disk duplication. Both DiskSense units come equipped with a well-rounded set of features to regulate and optimize the data recovery process. The DiskSense Ethernet is without doubt the highest quality hardware unit on the data recovery market. 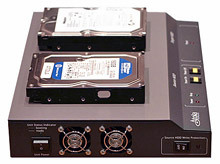 It utilizes the fastest and most efficient interface connections available (ATA/IDE and SATA I/II for HDD to HDD data transfer and Gigabit Ethernet for HDD to host), and is built-to-last using the highest quality components available. It includes a built-in oscilloscope for current monitoring (primarily used in diagnostic functions), and HDD power control buttons (used for manual power override). For more details about DiskSense Ethenret, please refer to Diskense Ethernet In-depth Overview. The DiskSense USB is a high-end hardware device that boosts the Atola Insight's data recovery capability. It supports ATA/IDE and SATA I/II hard drives and connects to the computer using a USB interface. Like the DiskSense Ethernet, it includes a built-in oscilloscope for current monitoring (primarily used in diagnostic functions), and HDD power control buttons (used for manual power override). The following features are the key differences between the DiskSense USB and Ethernet units. The following features are offered with both the DiskSense USB and Ethernet units. Both units take full control over the hard drive's power. 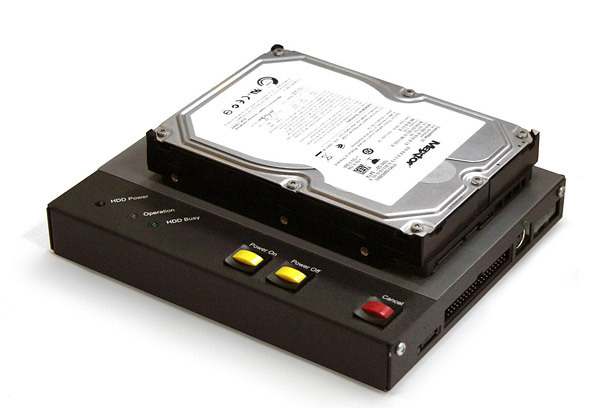 They are equipped with a protected power source for all attached hard drives that is able to withstand any overload condition, including a short circuit. They also include buttons for forcing a HDD power cycle and cutting power to the HDD. Both units are equipped with a physical write protection switch. This option allows the user to quickly and easily protect data stored on attached media from being overwritten when turned on. It can be turned off to enable necessary writing to attached media. The switch on the DiskSense Ethernet unit only applies to media connected to the Source HDD port. Both units are equipped with an on-board buzzer to signify the end of an operation or early termination due to error. 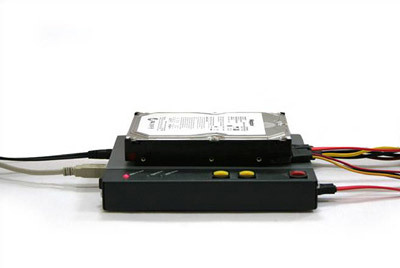 LED indicators display the status of the HDD power, IDE/SATA activity (BUSY/DATA), and serial port activity. 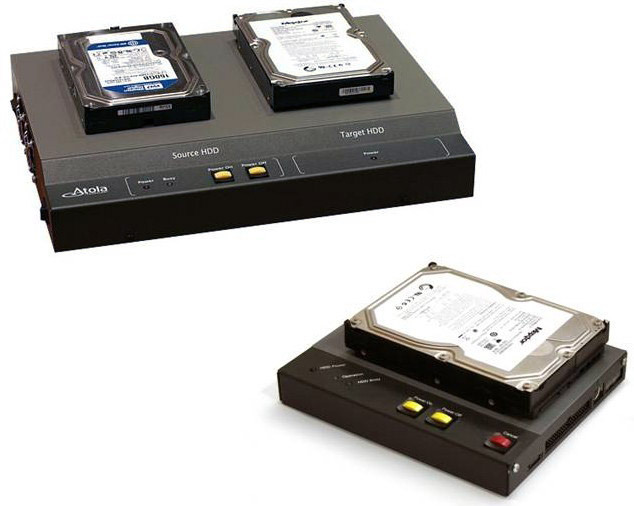 Both units support 3.5" and 2.5" ATA and SATA I/II hard drives. Other ATA and SATA hard drives and media devices are supported with additional adapters. Please contact an Atola representative for details. Both units monitor 5V and 12V currents separately. 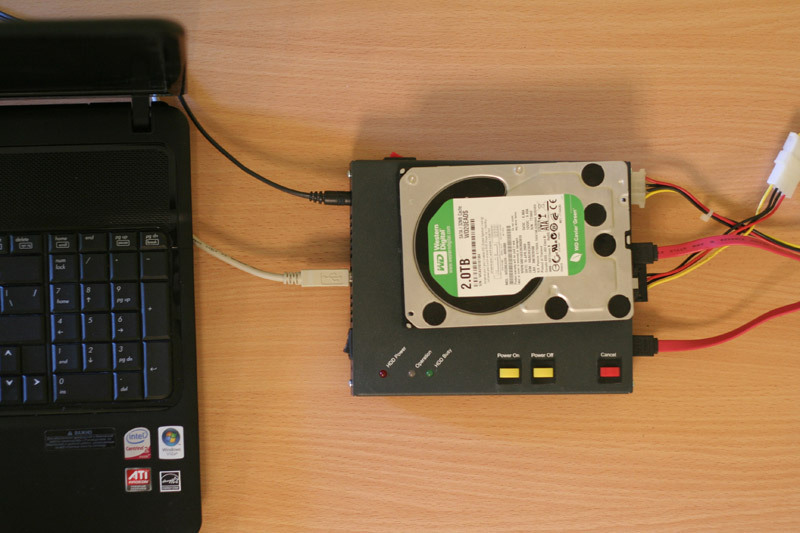 The data received from the monitor not only serves as protection against short-circuits, but also is used for hard drive diagnostics (example: detect motor damage or damaged circuits). The Atola Insight software program includes a current monitor (oscilloscope) that allows the operator to keep track of hard drive power consumption levels. Both units come standard with an on-board RS232 port. This port is required for accessing the firmware area of certain hard drive models for both manual and automatic firmware recovery modes. The serial ports may also be used for certain diagnostic functions.